Bradenton, FL has one of the most diverse ecosystems in the state. With this being the case, it attracts a wide variety of not only wildlife such as birds and mammals, but the waters surrounding Bradenton is full of all the popular inshore species of gamefish. That’s right, redfish, snook, speckled seatrout, and many more, including tarpon can be found swimming the waters that lap the shores lining the small town of Bradenton. But there is a reason for this, and I’m here to break it down for you! Bradenton is a small town of only 14 square miles, but is growing at a rapid rate. Like most of Florida, it played a significant role in Florida’s history as it was a refuge for settlers during the Seminole-Indian war. But what makes Bradenton such a fabulous fishing destination goes well beyond what lays within its city limits or its size. What makes it the ideal fishing destination is a combination of rivers, bays, estuaries and barrier islands surrounding it. Bradenton is situated along the Manatee River, a 36-mile river that starts in the northeast corner of Manatee County and incorporates a watershed of about 360 square miles. This freshwater river is home to your typical Florida fauna such as alligators, numerous water birds, fish like bass, bluegill, catfish and gar and, as the name implies; manatees. This influx of freshwater is important in many ways as it pours necessary nutrients and clear water into the bay that makes for incredible sight casting opportunities. To the west of Bradenton, with what lies another important factor in this fishery is Anna Maria Island. This barrier island places an equally important role when it comes to the inshore fishing found throughout this area. Without this landmass protecting the mainland, the shores of Bradenton and surrounding area would be ravished by storms that are an often occurrence here. This protective island allows the waters to the east of it to be somewhat protected which makes it an ideal place for an offshore nursery as well as suburb feeding and spawning grounds for mature fish. Although there are many more players in the game as to why Bradenton has such an outstanding fishery, these two factors alone make up the perfect blend of salinity and clarity to make this area a fisherman’s paradise! 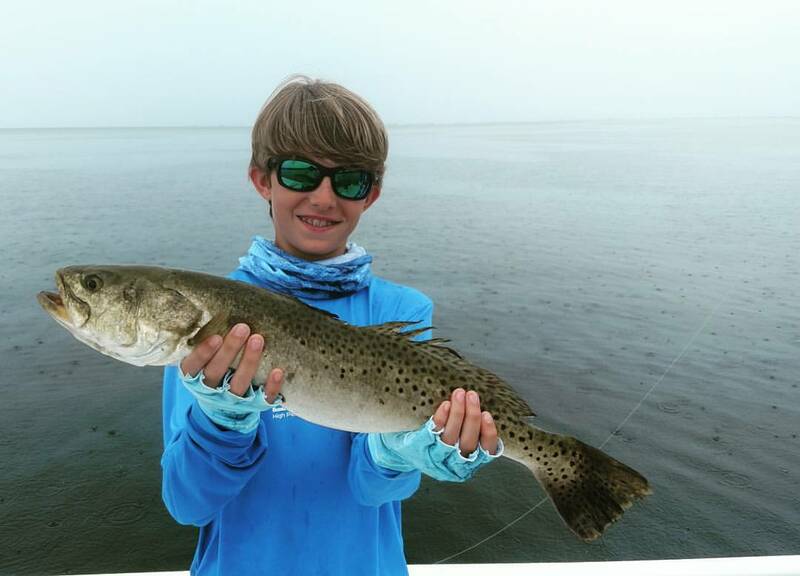 Not only can you find the yearly participants such as snook, redfish and trout, but also resident juvenile tarpon as well as the migratory adults that frequent the area this time of year. With Tampa Bay just to the north, you never know what you’ll find swimming these waters at any given time! Just ask Captain Jason Dozier here at Chasing Tails Charters! Whether you are looking to fish for a specific species of fish, or catch as many different kinds of fish as possible, Capt. Jason is the Bradenton fishing guide who can put you on them.